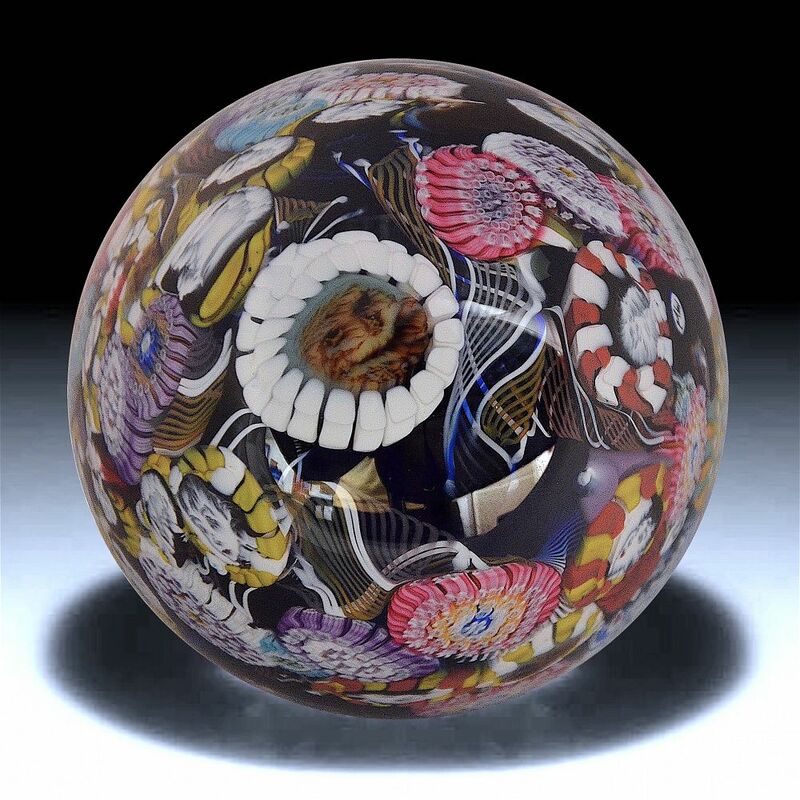 This paperweight was made by Michael Hunter for Twists Glass in 2017. It is known as a scramble paperweight and has a cobalt blue globe full of pieces of various zanfirico canes and complex murrine canes and picture canes, the latter including owls, Marilyn Monroe & Audrey Hepburn with a large owl picture cane in the top all set haphazardly and randomly in the globe. Hence the name scramble. The paperweight has Mike's personal "MH" cane and is scratch signed on the base "M Hunter Twists 17" and has the Twists Glass studio label. Presented in a black presentation box.